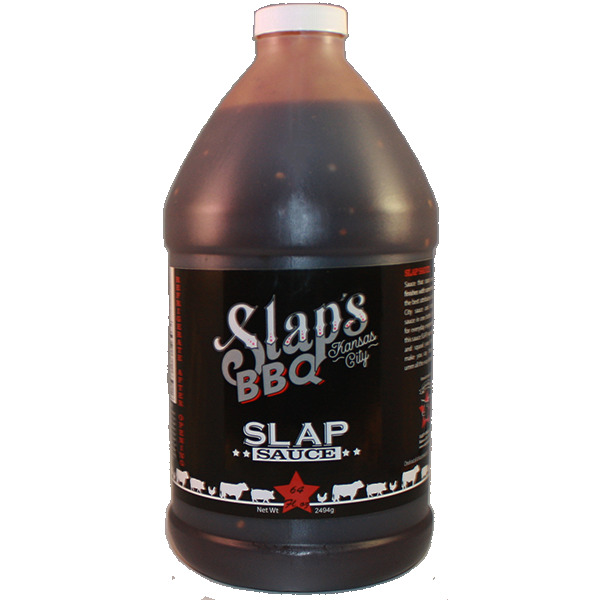 Slaps BBQ-Squeal Like a Pig Slaps Sauce 64 oz. Now in a half gallon! Sauce that starts and finishes with some heat! It has the best tastes of a Kansas City sauce and competition sauce infused in one bottle. It's a blend for everyday enjoyment, so let this sauce Slap your taste buds, get your bones squealing.